The new season of Netflix's The OA is San Francisco-centric, and very appropriately had its premiere Wednesday night at the Castro Theatre. 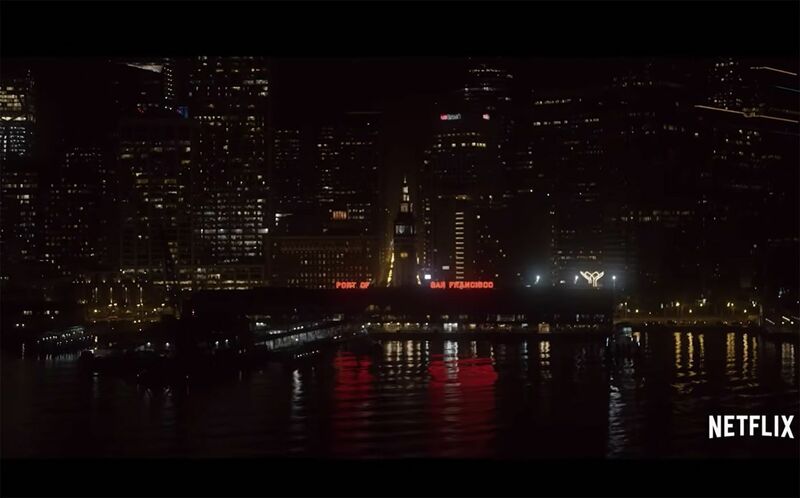 As SFist reported earlier, "Part II" of the creepy-fabulous Netflix suspense series is set in San Francisco, and get ready to binge, because The OA: Part II drops at midnight tonight on the streaming service. 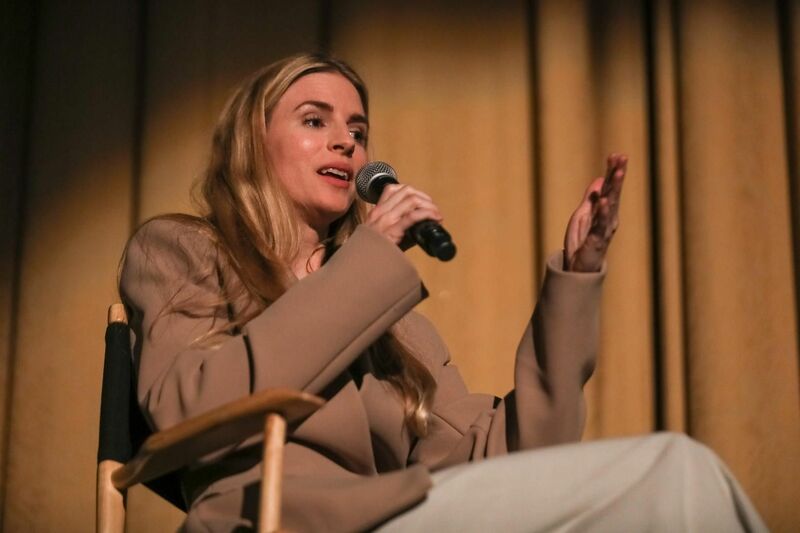 But Episode One had its official premiere at a packed Castro Theatre last night, with the show’s star Brit Marling and director Zal Batmanglij on hand. 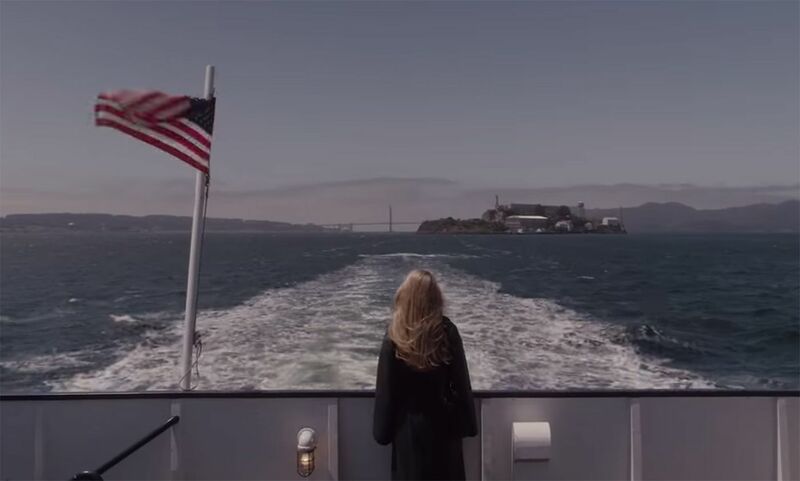 Both are co-writers and co-creators of the show, and and SFist got the inside scoop on their dimension-hopping San Francisco thriller whose trailer can be seen below. Much of the Season One cast returns in in "Part II," but they appear as entirely different characters who’ve jumped into different bodies in an alternate-dimension version of the Bay Area. Locals will appreciate that the creators went to great lengths to pepper the show with Only-in-San Francisco inside jokes, gags, and references. I only saw the first episode last night, but can confirm that pretty much the entire episode does take place here. There is a very trippy sequence at the 16th Avenue Tiled Steps, and other episodes will pop around Nob Hill, Treasure Island, the Mission, the Tenderloin, and spots in the larger Bay Area. The OA: Part II deftly makes even the ugliest parts of our city look sumptuous on the screen with its remarkable cinematography. Without spoiling anything, I will say that The OA: Part II gets interesting really quick right off the bat, and it's not the slow boil of Season One. Many of your old favorites are back, but ‘new guy’ Kingsley Ben-Adir steals the show as a grizzled private detective trying to make sense of all the sci-fi strangeness. And without knowing where it will head over the course of its eight episodes, I can assure you that Episode One is a sweeping, fantastic escape that deserves to be watched and will leave you immediately craving the next episode. If you’ve already seen Season One of The OA, you won’t be let down and you’ll definitely enjoy multiple ‘gasp moments’ when old characters return in their new incarnations. If you haven’t seen Season One yet, you’re completely fine just firing up “Part II” with no background knowledge and watching it as a satisfying standalone. The weather forecast calls for rain on Friday, so it may be a binge-watch weekend. The OA: Part II drops at midnight tonight on Netflix, and watching its depictions of a rainy San Francisco will make for a great rainy San Francisco indoor activity. Gray whales, on their annual migratory path along the Pacific coast to their summer feeding grounds in Alaska, have been spotted recently entering San Francisco Bay — and a pair of them also washed up dead last week.